We’ve seen a lot of decorative tile in Portugal. It covers many buildings, sometimes as an overall pattern: exterior walls, interior walls, decorative wainscoting, decorative details. 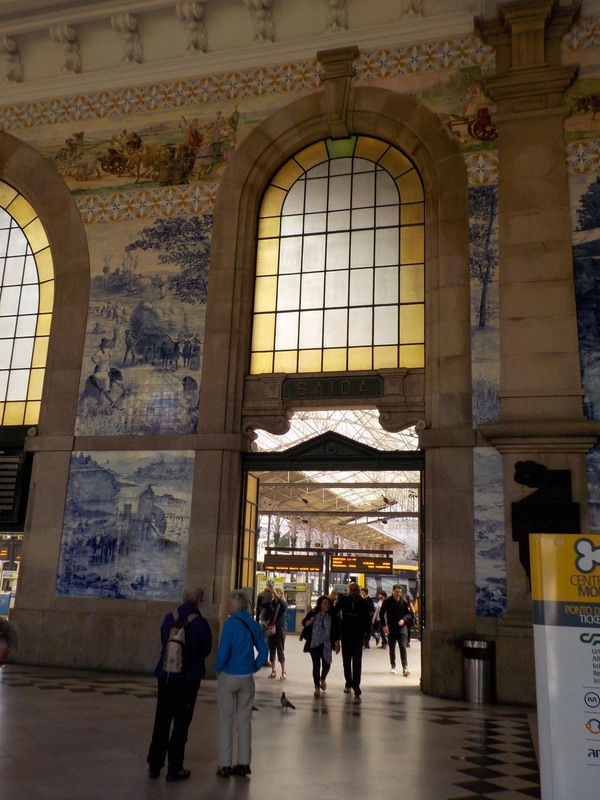 The blue and white tile was installed in the 19th c. when the station was built. The multicolored tile was added during the 20th century. 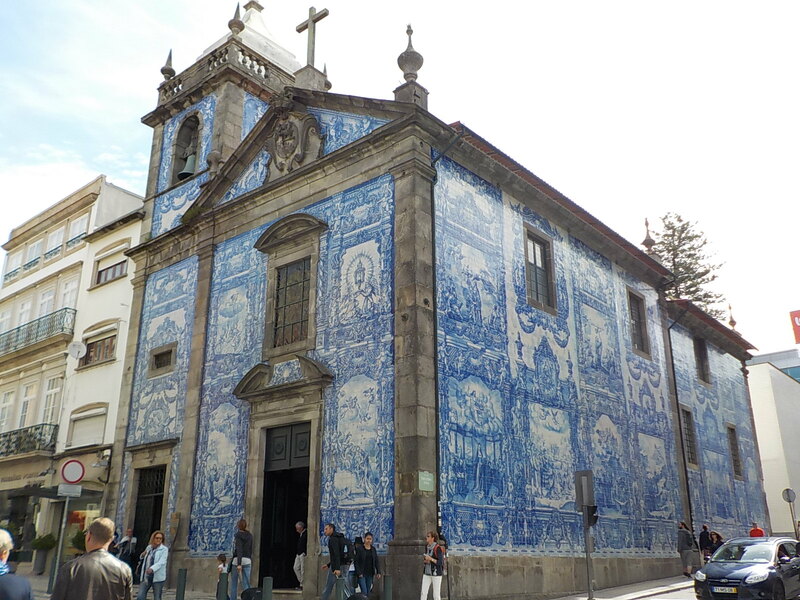 Here is a church that is completely tiled with religious scenes on the exterior (Porto). Scenes created from tiles are put on walls. It’s an adventure to walk anywhere in Portugal, to see what tile you may find.